Lectures are free and open to the public; however, seating is limited and tickets are required. Complete the online form, email or call (816) 926-8772 with your name, address, phone number, and the number of individuals in your party. Please specify the lectures you plan to attend. Please contact Eric Ward at 816-926-8753 for more information on this event. 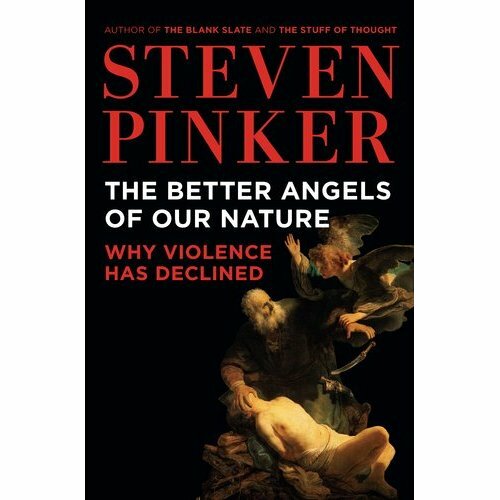 This groundbreaking book continues Pinker’s exploration of the essence of human nature, mixing psychology and history to provide a remarkable picture of an increasingly nonviolent world. The key, he explains, is to understand our intrinsic motives- the inner demons that incline us toward violence and the better angels that steer us away-and how changing circumstances have allowed our better angels to prevail. Exploding fatalist myths about humankind’s inherent violence and the curse of modernity, this ambitious and provocative book is sure to be hotly debated in living rooms and the Pentagon alike, and will challenge and change the way we think about our society. Hope to see you at the lecture! Next Next post: Become a KABT Blogger!